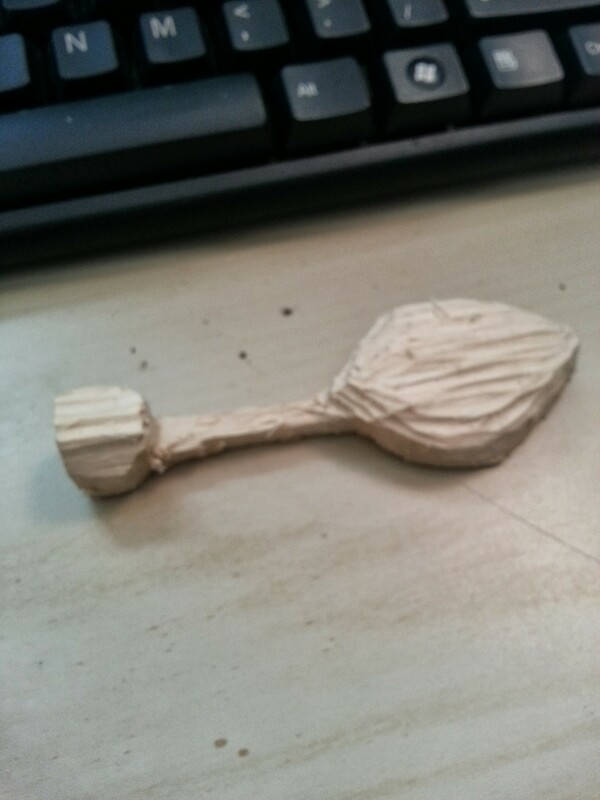 So last week in pewter class I tried to make a sculpy spoon, but it broke in a few places when it came out of the oven. 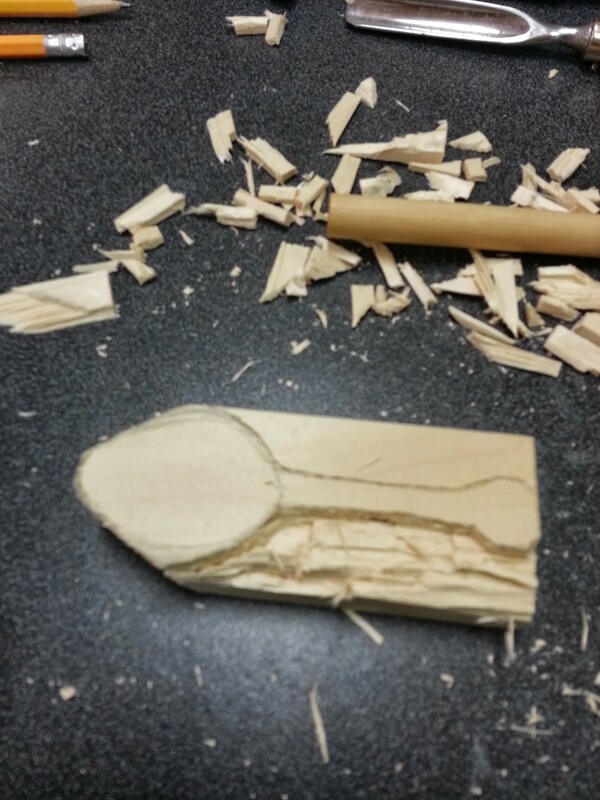 So this week I started to whittle a spoon from a piece of basswood. It’s coming along, it really needs a lot of sanding currently, then perhaps some more carving. I also need a gouge of a slightly different shape, but I think I have one in my kit. I can’t decide if I want to use sandpaper or my dremel to sand it.. I like the control of the sand paper, but it is hard to get round shapes to come out right. 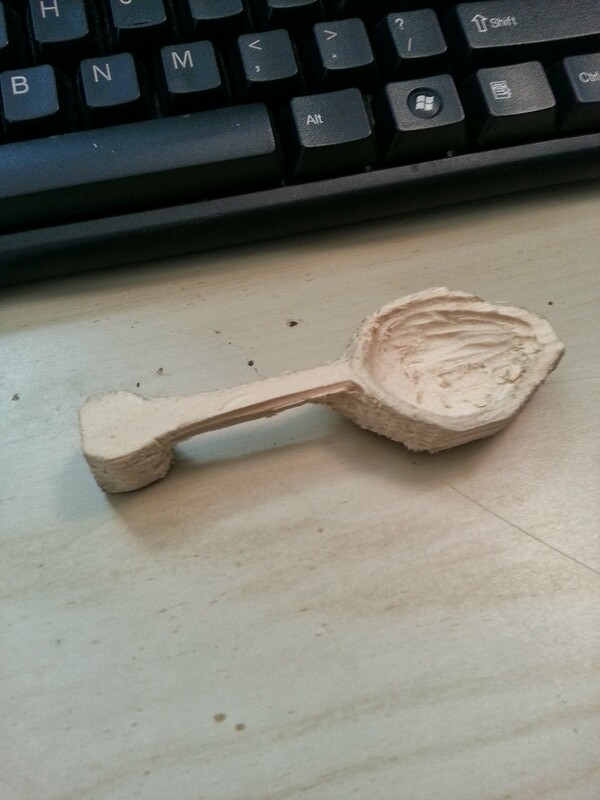 Once my spoon is done, we are going to cover it in Vaseline and put it in a little Lego box and pour bondo around it to make a mold for the pewter spoon.